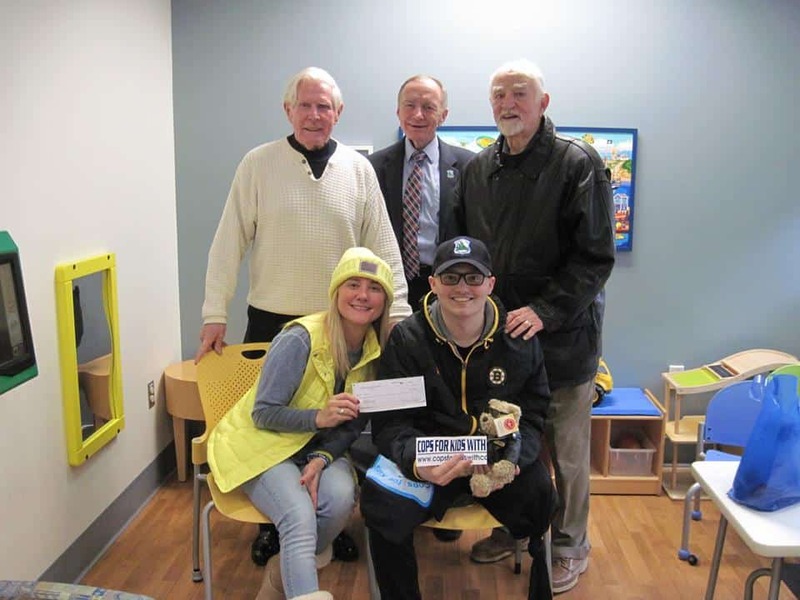 On 1-29-2019, Cops For Kids With Cancer went to U-mass Medical Center in Worcester and gave a $5,000.00 dollar donation to the family of Ryan Doyle, an 18-year-old boy from Wilbraham who has Osteosarcoma. In the photo, Mom, Diana, and Ryan. Back row CFKWC Bob Faherty, Bill Coulter, and John McManus.